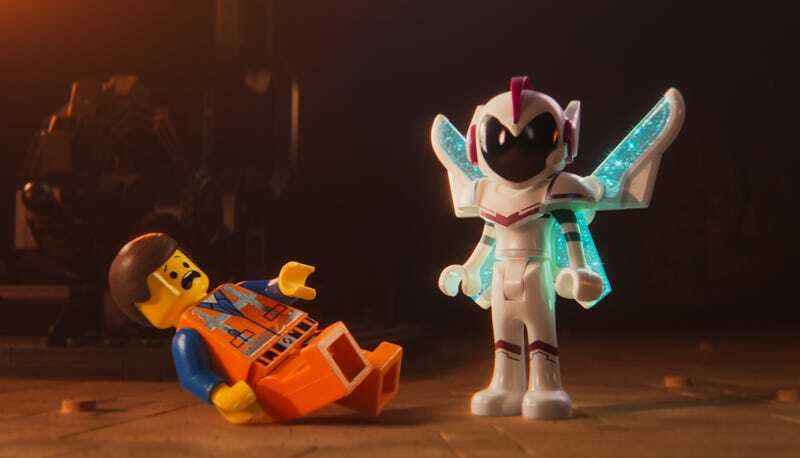 Two worlds, represented by Emmet and General Mayhem, collide in The Lego Movie 2: The Second Part. 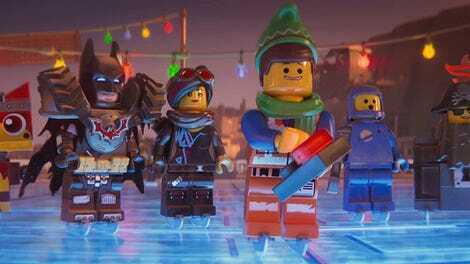 Lord and Miller, who co-wrote and produced The Lego Movie 2 after directing the first film, weren’t thinking about the sequel when they came up with the ending of the first film. “We had painted ourselves into a corner and we’re like ‘We’ll just deal with it later,’” Lord told io9. 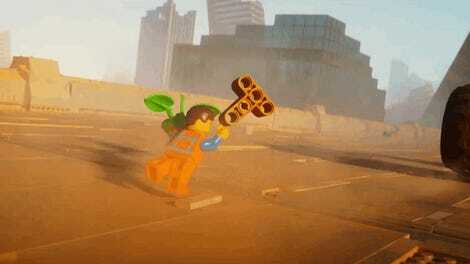 The first movie ends with a bunch of Duplo characters, controlled by the non-Lego character’s younger sister, invading the Lego city of Bricksburg. The Lego Movie 2 starts up in that exact moment.